So I have yet to vacay to a place near sprawling miles of peaceful water this year. Life has gotten in the way of that, so I'm living vicariously through others... Perhaps that's why this is the second home tour I've featured in a row that is located near a big body of water. This 7,000 sq ft cottage is located on Lake Rosseau in Ontario, Canada. Designer Cory DeFrancisco of Muskoka Living Interiors did an amazing job at bringing the outside in and making the space look incredibly comfortable. 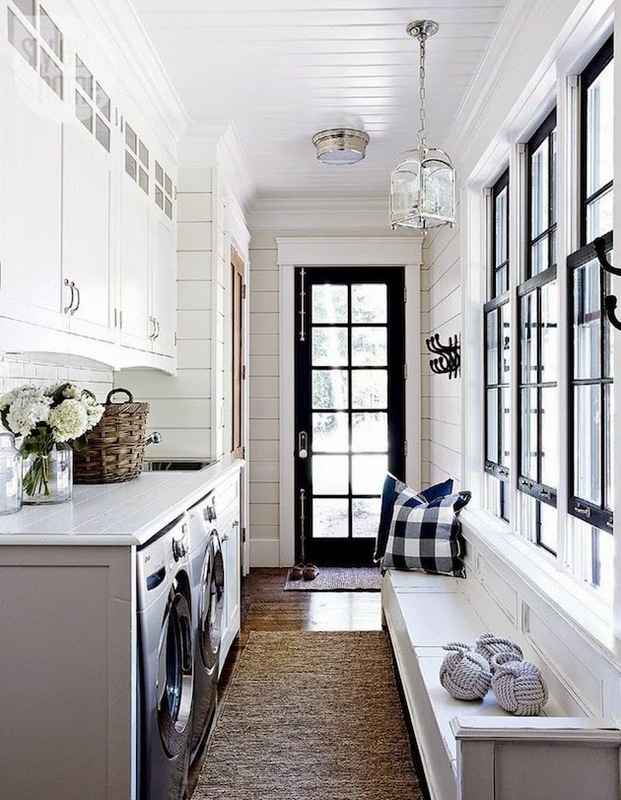 Naturally I love the details and design in each of these spaces, but I DIE over that laundry room! 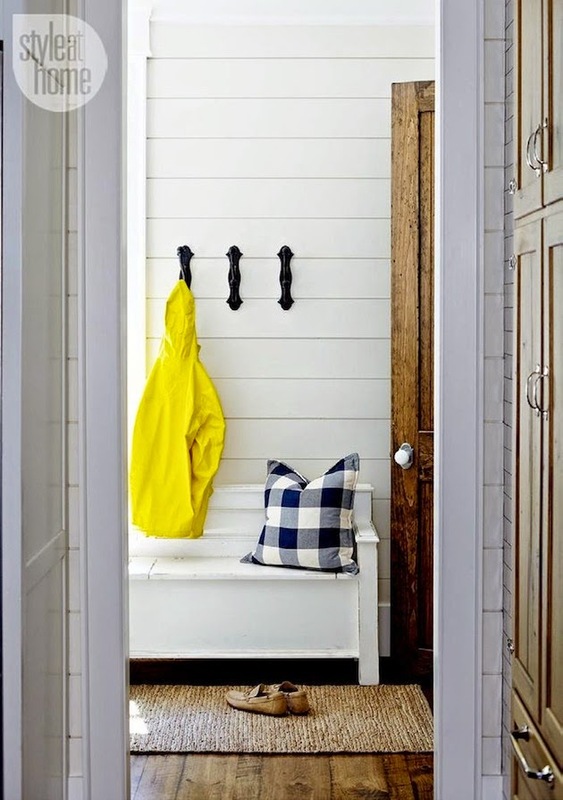 I love doing laundry (very strange I know), so one of the top things I want in my "forever home" is a functional, yet chic laundry room just like that one... Dreamy. 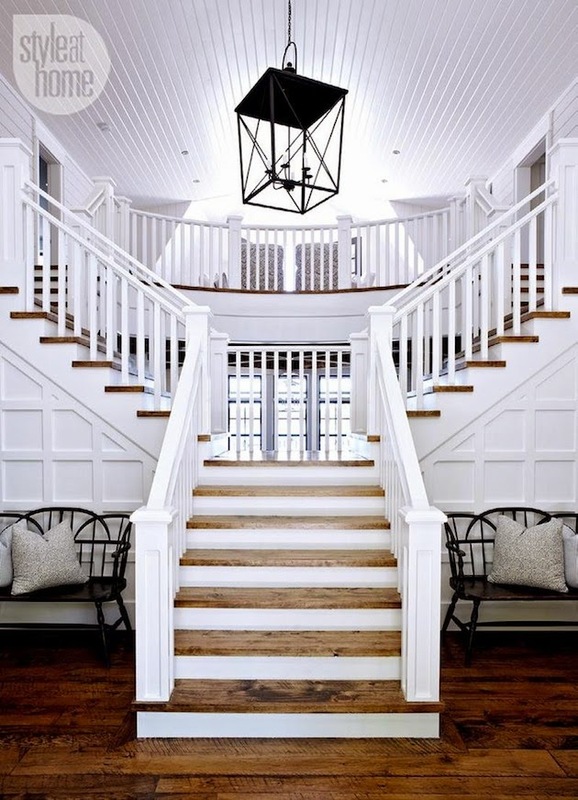 I love the staircase (pininng for later) our staircase is a 1990s style and its something I definitely want to replace in a year or 2. thanks for the inspiration! 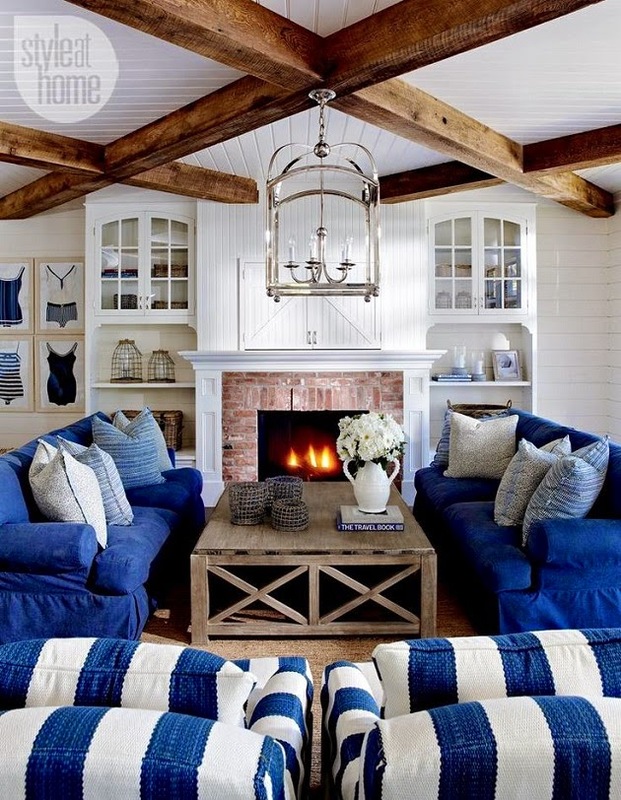 Wonderful place... love the blue sofas! 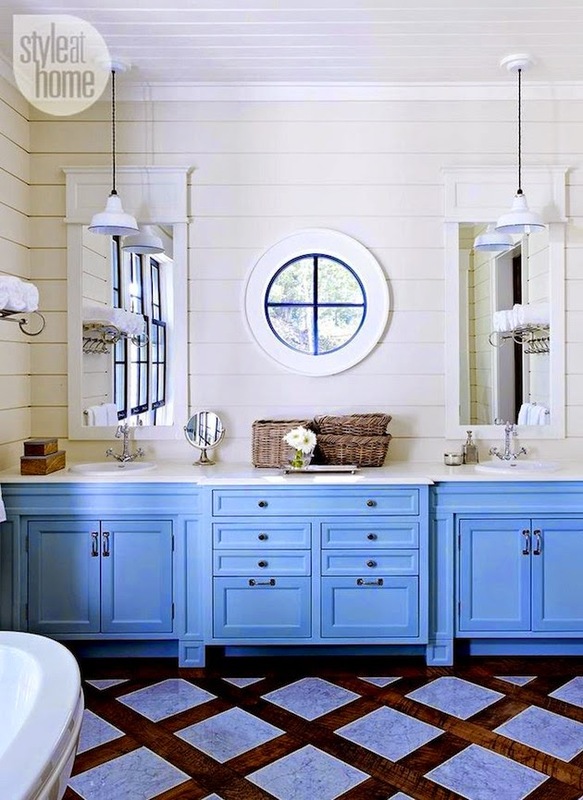 Muskoka living interiors can do NO wrong! And I hope you don't mind if I join you, virtually at least. Isn't this an amazing home? I am using my magazine and tearing out the sheets so that I can use these images as inspiration for when we design our beach house. Crazy beautiful!! !